America thrives on a simple message—that what we currently have is not enough. Not big enough, not nice enough, not fast or hip enough. The American Dream is based on wanting more. But does God’s dream for the world look like the American Dream? In this five-week study, unpack what the patterns of God’s kingdom look like compared to the patterns of our world. What is the value of enough, and how do we become more like the God who is close to the poor, the hungry, the meek, and the merciful? 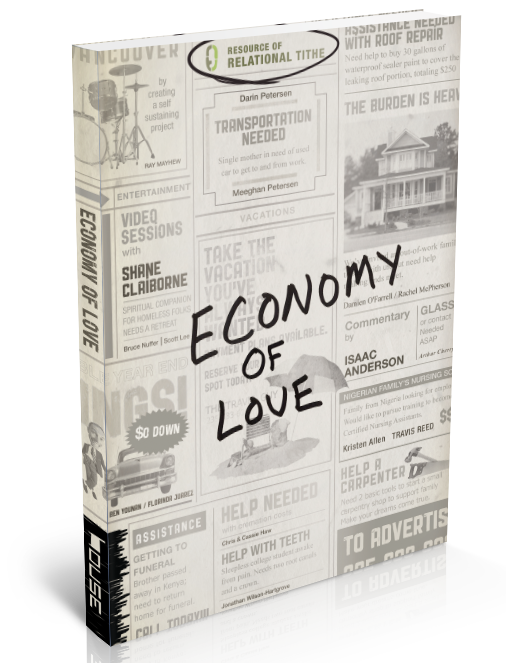 Economy of Love will challenge individuals to join in community, journeying together as they begin to consider a new standard of living—a personal economic threshold oriented not around the size of a monthly paycheck, but around the value of enough.